It´s a very wide angle shot that is stitched together from 13 separate images, all shot at 16mm with a Canon 16-35mm Mark III lens on a Canon 5D Mark IV body. Settings for each shot: Aperture: f/2.8, ISO 3200, 10 sec exposure. The photos were imported into Lightroom where he made some global adjustments. Then he exported them as TIFF and stitched together in AutoPano Giga. After this, he did some final adjustments again in Lightroom, Nic ColorEffx, and Exposure X.
I loved this photo the moment I first saw it. There are plenty of photos on Northern Lights, so it’s hard to be unique. But in my opinion, Siggi definitely did it with this shot. And I thank him for sharing the details with us. Sigurður William is a photographer and a certified tour operator living in Island. 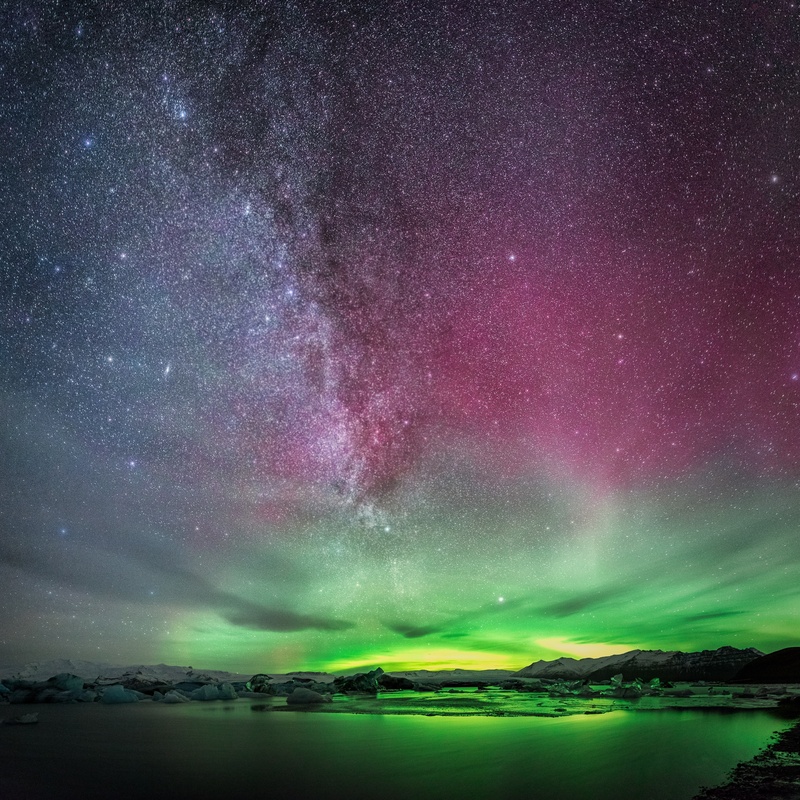 He has won many awards for his work as a photographer, both locally and internationally, especially for his Aurora Borealis photos. He has also written a book Capturing the Northern Lights. For more of his work, visit his website, like his Facebook page and follow him on Flickr. As a tour guide, Sigurður is certified by the Icelandic Tourist Board. He runs Arctic Shots, a company specializing in photo tours around Iceland. If you’d like to know more, check out their website and like their Facebook page. nice manipulated shot.. show me the RAW image! i think people always push the saturation in such shots to make them look more impressive. i lived for 3 years in north norway and i rarely have see northlights as intense as they show on photos. when you see photos you think they are all very bright. and when people visit norway to shoot them they are dissapointed.